Dealership SEO is a legitimate profession that requires great honesty, ethics, passion, skill, and time. When you focus on implementing automotive SEO practices, you add great value to your website through various design changes, better navigation, and ultimately unique and engaging content. This improves the traffic and conversions your dealership website receives. This stages your business for the long-term, guaranteeing incremental gains as you receive more traffic. 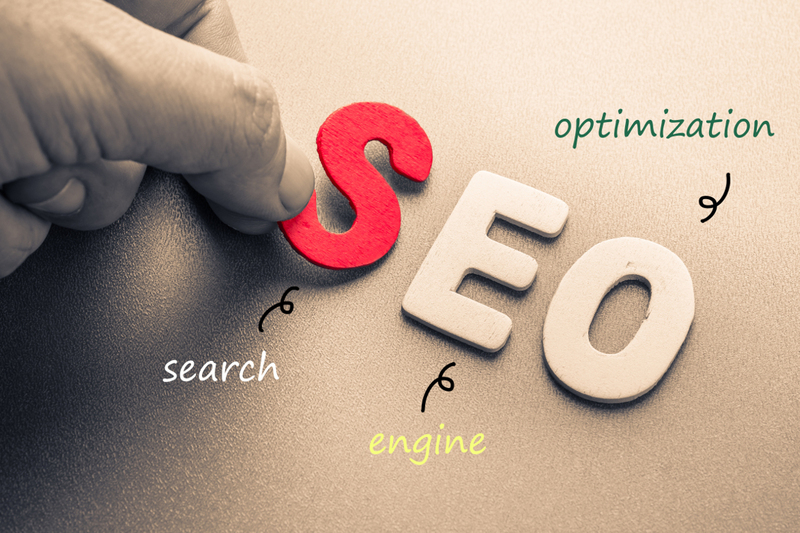 However, before you receive all the benefits of SEO, it is imperative for you to implement the best strategies and techniques properly. When looking at metrics from hundreds of dealerships, we consistently see a lack of initiative in improving websites. You can find the same redundant elements everywhere. To help your business gain a competitive edge, you need to work on both paid and organic results. It is critical to have a presence and strategy in both areas. This requires you to have proper understanding of the technical aspects of SEO. Bear in mind that the way SEO fits into different automotive business models is varied. What may work for a car selling or buying business, it may not derive results for one that offers towing, repairing, or maintenance services. You need to learn how to integrate your services with other marketing channels. Here is a guide on how you can gain automotive website success and the knowledge you require for dealer SEO. When it comes to working on dealership SEO, it is imperative to assign/hire someone who has a strong understand of website technology. Optimization is all about improving your site’s outlook in the eyes of the consumer and Google. Assuming you are a business owner; it is highly unlikely you are aware of the tricks for effectively implementing SEO practices. Therefore, it is vital you hire a professional who has the knowledge regarding improving page speed, how Google’s crawlers operate (what metrics do they focus on for ranking websites), anchor text, internal linking structure, site architecture, .htaccess files, programming, and HTML/CSS. Being highly educated and skilled in these areas can make it possible for any automotive business owner to maximize the power of attraction and quality of traffic to their site. At the root of all SEO practices, dealers also have to be aware of the art and science behind keyword research and implementation. There is no doubt that keywords are the front line connection to search queries. It is because of keywords that prospects can connect to your website. It is that fundamental link between your automotive website and vast numbers of targeted traffic. Knowing how to generate keyword reports can also give you an intimate understand on your prospects initial search intention and how people are connecting to your automotive website. Social media is something that can be done by owners or workers in a car dealership. It is an important part of digital marketing that once executed properly in a consistent fashion can help your website gain a huge amount of followers/fans. By knowing how to engage with your target customers, social media proves to be an effective inbound marketing channel. You must learn what social media platforms will derive the best results for your dealership businesses and then focus on building a community/forum around your business. This will allow for natural and healthy discussions between your fans/followers. It is also a pathway to direct feedback on the usefulness and value of your services or products. You can figure out what are customers most attracted to and figure ways to offer similar retail offers. Since Google places strict emphasis on content, it is vital for dealers to come up with high quality blogs, articles, PRs, etc. As a top ranking factor, dealers must figure out what kind of content attracts the most audience. It is imperative that you create something that is engaging and interesting to your visitors, but does not hold the same redundant information you can find on every other site. You can’t write a meaningless copy and expect to rank higher on SERPs. This is why most dealers are forced into hiring automotive content development agencies. These professionals have great experience in producing dealership-related posts with the relevant and targeted keywords for helping you rank better. Entering into SEM and SEO engagements makes it crucial for dealers to outline their success from different campaigns and analyze historical data for measuring ways to move forward. If you want to rank better, it is vital that you tie in your strategy with web analytics applications like Google Analytics. This tool is not only free, but provides wealthy opportunities for you to improve your SEO efforts. Made by Google, this tool offers detailed information regarding conversions, content, traffic sources, keywords, etc and working/non-working codes. Analytics is crucial for gaining insight into user perspective for improving SEO and SEM. If your website is not able to create a positive user experience, then the implementation of SEO and SEM campaigns is irrelevant. This makes it crucial for dealers to constantly test their website each phase. Not only should your automotive website be aesthetically pleasing, but it should also deliver a satisfying experience via easy and fast navigation, search tool for finding content, and informative/authoritative content. Dealership SEO involves optimizing all web pages of your site with unique tags (no-script, ALT, and META title/description, etc) that complement the on-site HTML content, while producing a strong off-site link building campaign. This can be done by creating high-quality entertaining or informative content to be submitted on online directories. You can also write guest posts for other blogs to get links. Other tips for improving dealership SEO involves responding to customer feedback on review sites, checking and updating social media profiles, creating multiple posts per week, and using photos, videos, and sound for content marketing. By all these practices, you can position your car dealership higher than others in the marketplace.